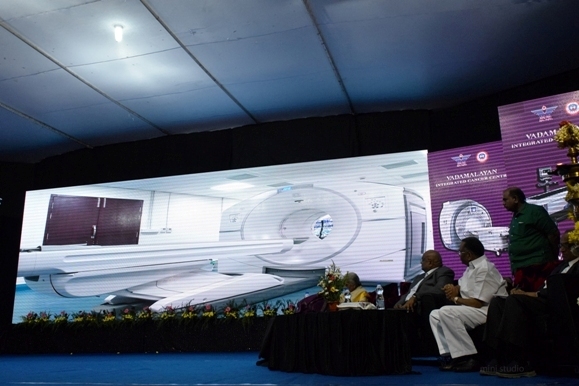 PET CT inaugurated by Padmashri Dr.Mayilvahana Natarajan, Orthopaedic Oncology, Chennai & Former Vice Chancellor of Tamilnadu Dr.M.G.R Medical University, Chennai. 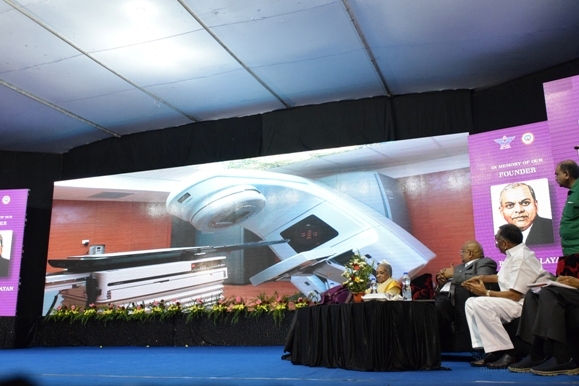 LINAC, HDR Brachytheraphy inaugurated by Shri.M.V.Muthuramalingam, Chairman – The Vellammal Medical College, Madurai. 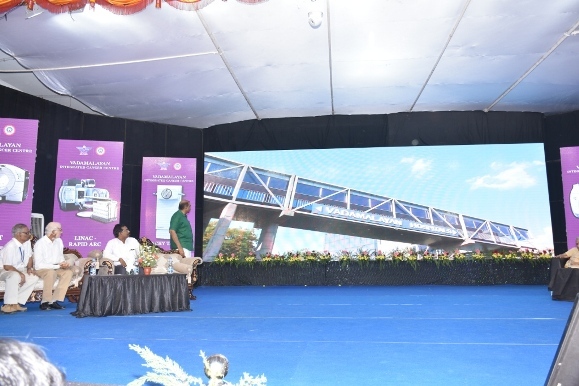 SPECT inaugurated by Padmashri. 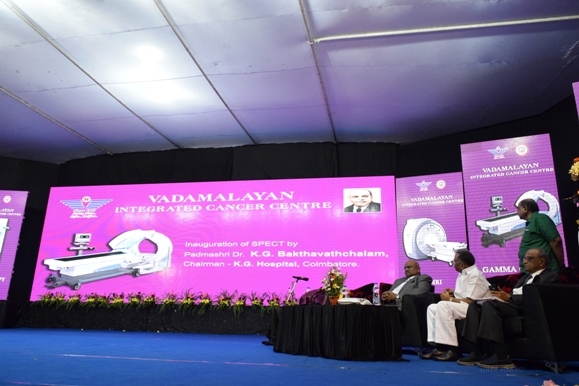 K.G.Bakthavatchalam, Chairman – K.G.Hospital, Coimbatore. As neoadjuvant therapy to shrink the tumour before definitive surgery. As a palliative therapy in advanced diseases to improve the quality of life and increase survival. ALL SCREENING PROCEDURES FOR CANCERS OF BREAST, CERVIX, COLORECTAL, LUNG AND PROSTATE ARE DONE AT OUR INSTITUTE. The value of Whole body Positron Emission Tomography–Computed Tomography (PET/CT) for diagnostic imaging in oncology is well established with its capabilities to combine anatomical and functional aspects of the whole body to provide a complete picture of patient’s disease status. PET CT can help speed up treatment, because metabolic changes in a tumor occur more frequently than structural changes. It is a more accurate and reliable solution that can help clinicians determine how well a treatment is working especially in lymphomas after as few as 1 to 2 cycles of chemotherapy, and they will be able to tailor the treatment according to individual patient’s response and needs. Thus Molecular imaging using PET CT is a decisive tool for early diagnosis, treatment staging as well as monitoring the progress of treatment, while also reducing overall treatment cost. 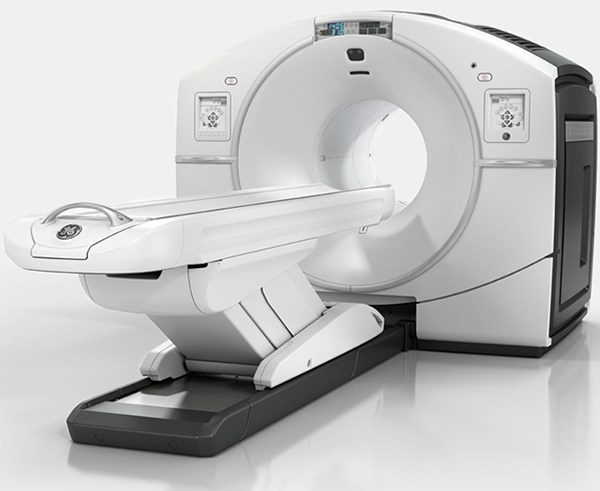 Most common uses of PET/CT are found in Oncology, Cardiology and Neurology practices. FDG PET/CT is an integral part of cancer management in Evidence Based Practice. 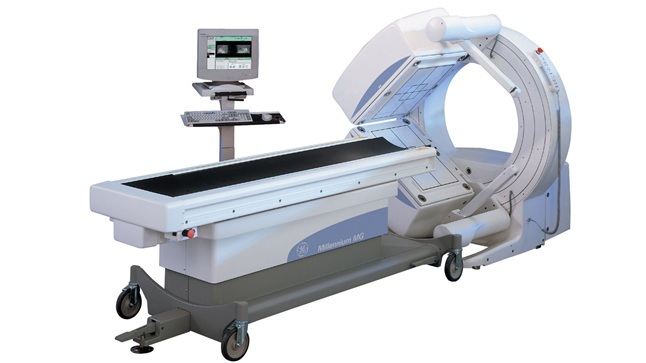 PETCT is used for initial staging of various cancers, Radiotherapy planning, treatment response assessment, restaging and surveillance in Oncology practice.It changes treatment decision in significant proportion of cancer patients. In Cardiology practice, FDG PET/CT is the gold standard test for detection of myocardial viability. It provides evidence for selection of heart disease (coronary artery disease) patients for revascularization (stenting / bypass surgery). In Neurology practice, FDG PET/CT is used to provide differential diagnosis for Dementia it helps Neurosurgeons in mapping the brain for surgical resection, in cases of drug resistant Epilepsy. This powerful workhorse treats thousands of patients around the world every day. 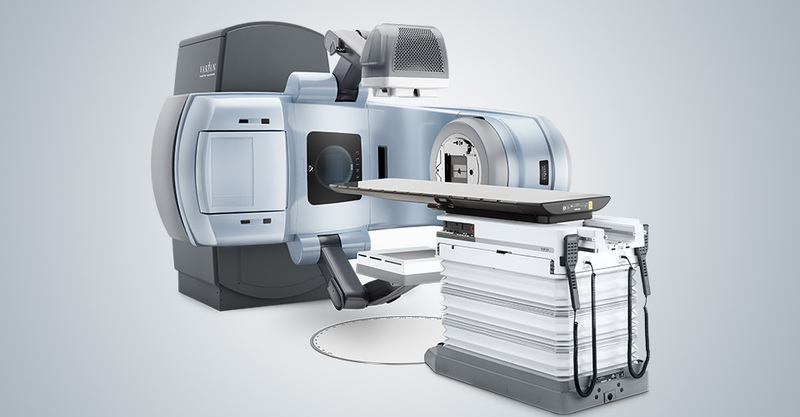 Designed to deliver a wide range of imaging and patient treatment options, the Clinac system offers advanced features to facilitate state-of-the-art treatments including IMRT, IGRT, RapidArc and stereotactic body radiotherapy. 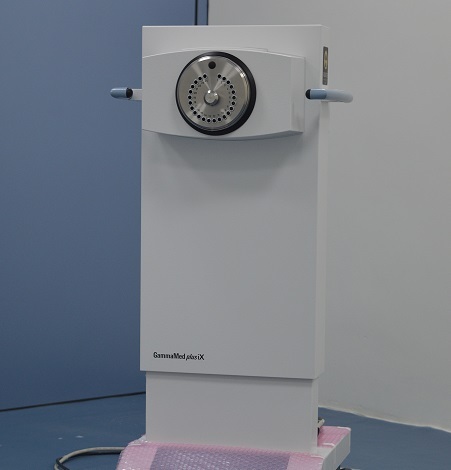 Rapid Arc delivers the precise dose distribution and conformity of IMRT and IGRT in a fraction of the time, often two minutes or less. By simultaneously shortening treatment times and improving treatment accuracy. Decreasing side effects and long term complications by reducing dose to the nearby normal organs such as spinal cord, heart, lungs etc..